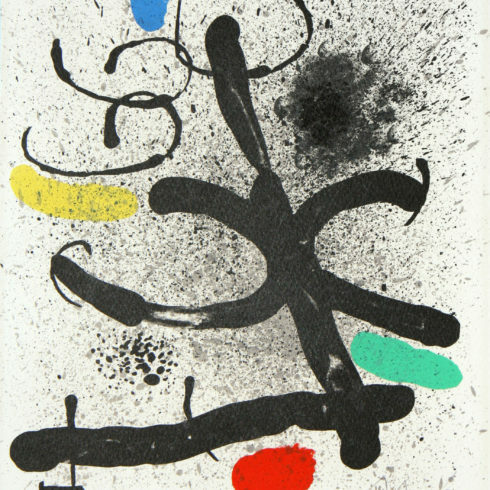 Joan Miro, The Lace Maker (La Dentelliere), 1969 is an original lithograph in colors. 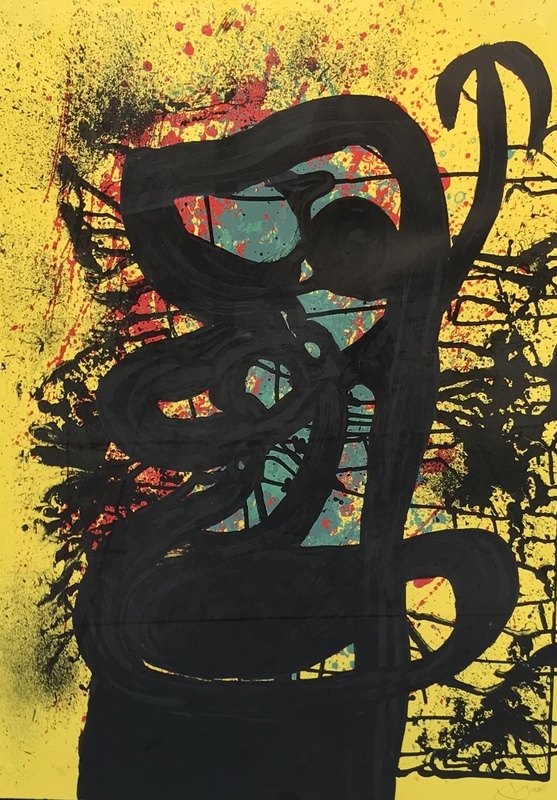 This print is from the signed and numbered edition of 75. M. 593. When the French poet André Breton penned his Manifesto of Surrealism in 1924, cementing one of the most important movements of the 20th century, he claimed as his associates some of the leading avant-garde artists of the period: Marcel Duchamp, Francis Picabia, Man Ray, Henri Matisse, and Pablo Picasso, among others. 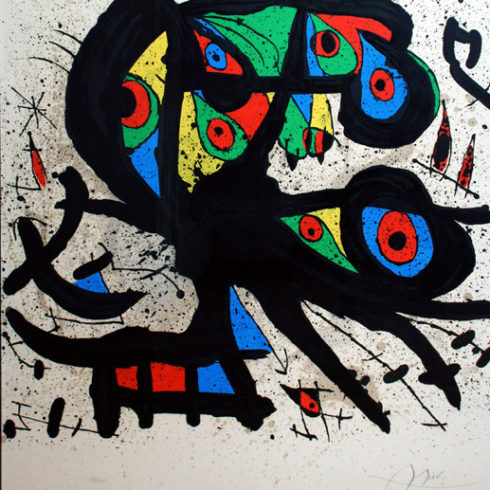 But in retrospect, one name is glaringly omitted from Breton’s selection: the Catalan painter Joan Miró. 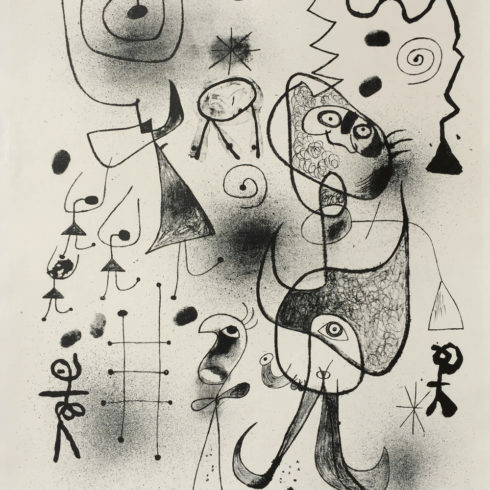 Just a year earlier, Miró, who was based between Paris and Spain, had begun work on The Tilled Field (1923) and The Hunter (Catalan Landscape) (1923–4), paintings whose fantastical, lyrical fields of uncanny references—swirling, abstract forms, floating body parts, and distorted animals—aligned closely with the concerns of the Surrealists. 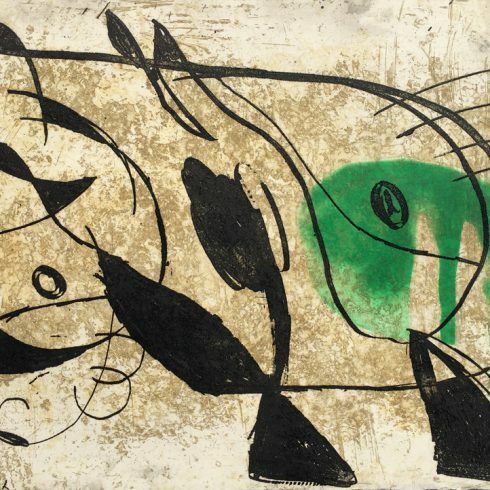 Indeed, the works reflected Breton’s embrace of dream imagery and “psychic automatism”: a practice that sought to give creative license to the unconscious mind through unmediated drawing or painting. 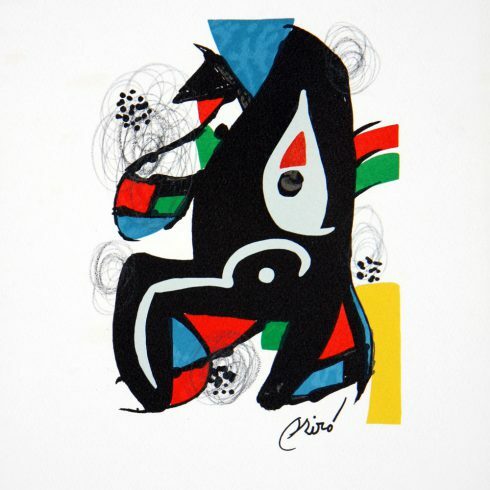 Miró would incorporate this method into his work for the rest of his career. 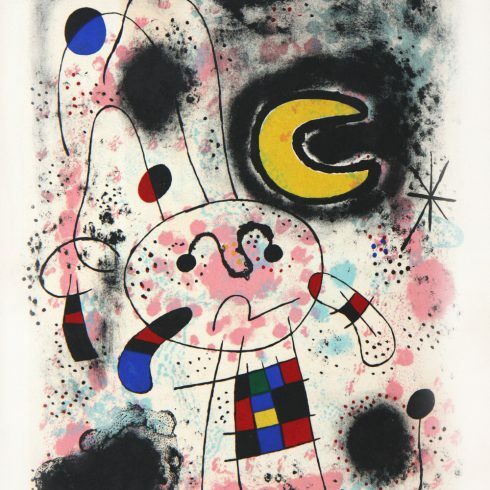 According to Breton, the Surrealists sought to liberate “the real functioning of the mind” through “a pure psychic automatism,” free of “any control exercised by reason.”3Their approach to art making, as defined by Breton, inspired Miró. He later recounted, “Rather than setting out to paint something, I begin painting and as I paint the picture begins to assert itself….,The first stage is free, unconscious.” But, he continued, “The second stage is carefully calculated.”4The Birth of the World reflects this blend of spontaneity and deliberation. Although its brushy, atmospheric background was freely applied, the individual motifs and their arrangement were sketched out in advance. 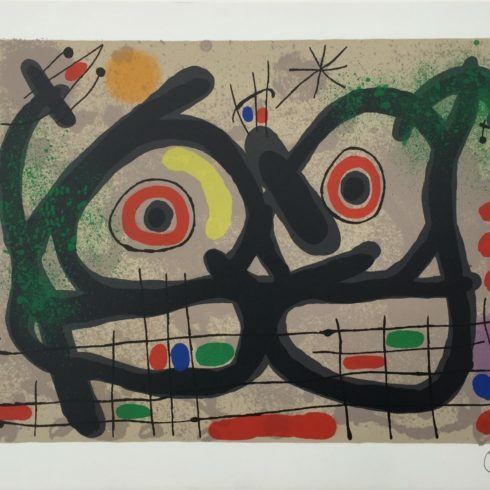 In this and many of his following works, Miró attempted to give free rein to the unconscious, as the Surrealists did, at the same time as he sought to formulate a new pictorial language.